Leisure and Culture services are responsible for activities related to culture, sports and outdoor activities, as well as community life, contributing directly to quality of life and developing a sense of belonging of citizens. Attentive to current and emerging needs, it collaborates with local associations and organizations as well as with neighboring municipalities to develop and implement joint projects, maintaining and improving the quality of life of the community, with the help of partners. The Beaven Creek Park is located in the center of town, adjacent to the town hall at 2, Village Street. The sports facilities are available daily, from 7am to 10:30pm. The exterior lights switch off automatically at 10:30pm. The pavilion is open year round, every day from 7am to 11pm. The Town Park is located at 60, Morrison Road (at the intersection of White’s Road ). It is adjacent to the municipal garage. The sports facilities are available daily. 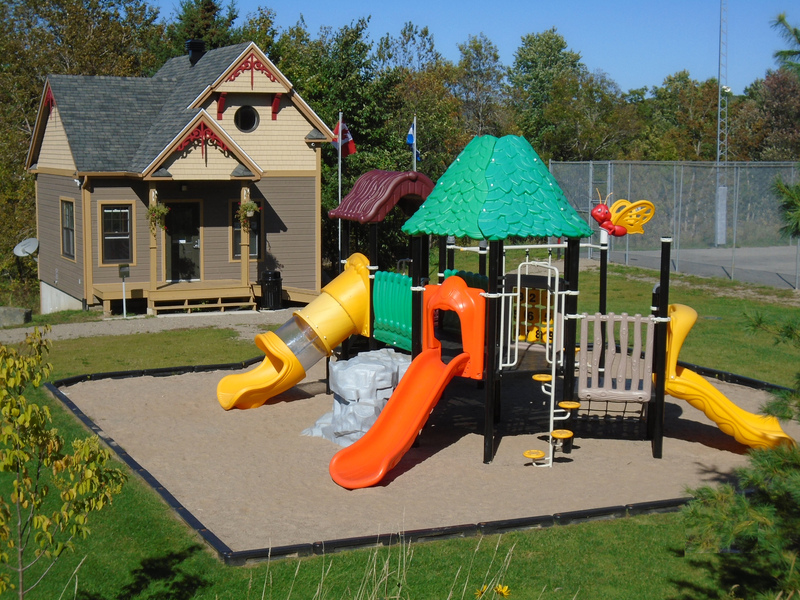 The park is available for community outdoor events and can be booked / rented by contacting the municipality in advance. Please note that there are requirements. Arundel Loisirs is a voluntary association of citizens who have the mandate to organize and promote activities and events for Arundelites of all ages. The annual membership fee to the Arundel Loisirs gives access to the cross-country ski trail and some free benefits during activities and events organized by the association. The Arundel Cross Country and Snowshoe Club (formally the Arundel Outdoor Club) is now managed by the Arundel Loisirs. The Club was founded in 1978 and has been functioning ever since. The trail is approximately twenty (20) kilometers. It starts behind the Arundel United Church in the village center, crosses the field of the Arundel Golf course and goes up to the Arundel Natural Science Centre on Crystal Falls Road. The trails are used, maintained and groomed by members of Arundel Loisirs. They are also used regularly by the Arundel School children, the Arundel Natural Science Centre as well as visitors. Membership to Arundel Loisirs includes access to these trails. The membership fee helps cover the costs incurred for the maintenance and upkeep of the trails. Those wishing to use the trails without joining the Arundel Loisirs are asked to pay per day. Memberships and tickets are available at the Arundel Provisions General Store located at 14 Village street. Children under 18 can ski for free. There is a trail map behind the Arundel United Church and another at Arundel Provisions General Store. This government initiative of a healthy lifestyle (Québec en Forme) promotes zero smoking, eating five fruits and vegetables a day and thirty minutes of exercise a day. Information, events and activities are planned for the whole family in the near future. A Day Camp is held from July 2nd to August 17th, 2018 at the Camp des Débrouillards in Arundel. It is open to children aged between 6 and 12 years old. 1 different theme every week, various specialized scientific workshops, aerial hike course, zip line, kayak, mission escape in a laboratory in the heart of the forest, water games, nature trail, crayfish hunts, elaborate games and so much more. Citizens of Arundel are eligible for the Financial Assistance Program which provides a refund of a portion of the cost of registering for a five (5) week or more day camp for the 2018 summer season, for a maximum of $ 250 per eligible child from 5 to 15 years old. According to UNESCO, culture may now be regarded as the set of distinctive spiritual, material, intellectual and emotional features that characterize a society or social group. It encompasses, in addition to art and literature, lifestyles, fundamental rights of the human being, value systems, traditions and beliefs – and that culture gives man the ability to reflect on himself. It is culture that makes us specifically human beings: rational, critical and ethically committed. It is through culture that we discern values and make choices. It is through culture that man expresses himself, becomes aware of himself, recognizes his incompleteness, questions his own achievements, seeks untiringly for new meanings and creates works that transcend. The Cultural policy is a commitment taken by the 20 mayors of the MRC des Laurentides that aims to create cultural activities to the whole sector of social, economic and environmental planning. Adopted in October 2011, the Cultural policy joins the sidelines of the sustainable development strategy being implemented in the MRC des Laurentides. Guylaine Berlinguette, Mayor of Arundel, sits on the Cultural Policy Committee, which is actively involved in promoting activities that engage artists of the region and develop economic partnerships that aim to beautify public and commercial spaces. Each year, Arundel artists, organize with the support and participation of the municipality: Culture Days. Culture Days represent three days of interactive activities of discovery and appreciation of arts and letters, provided free to the public. Culture Days are held the last Friday of September and the two following days each year, as decreed by the Quebec National Assembly and the Town council of the Municipality of Arundel. As part of the «Les Journées de la Culture 2016», students of the primary school of Arundel had the chance to interpret the song “Higher” written by the artist Koriass. Once school starts, they have appropriated the song and have added their color with the invaluable help of music teacher, Susan Cunningman and technician Mr. Tim Foreman. The municipality of Arundel is proud that the children take possession of their village and congratulated them for this magnificent performance.